I always try to wave at Clients and greet them by name as I approach them. This way I’m not accidentally sneaking up on them. Most people don’t like to be startled or scared unless they are watching a scary movie or at a haunted house or something. Sometimes people need to take a second to tie their shoe or get their backpack on or something. When the Client is ready, I click the “Start Walk” button on the People Walker app and we start walking. How’s the weather out here? What do you do when you’re working for the weekend? Stay alert! Stay alert like a tiger in the night! PRO TIP: Entering a crosswalk when the countdown signal has started is a ticketable offense in some areas. When the walk is over, I hope to always leave Clients in a better mood than when I met them. 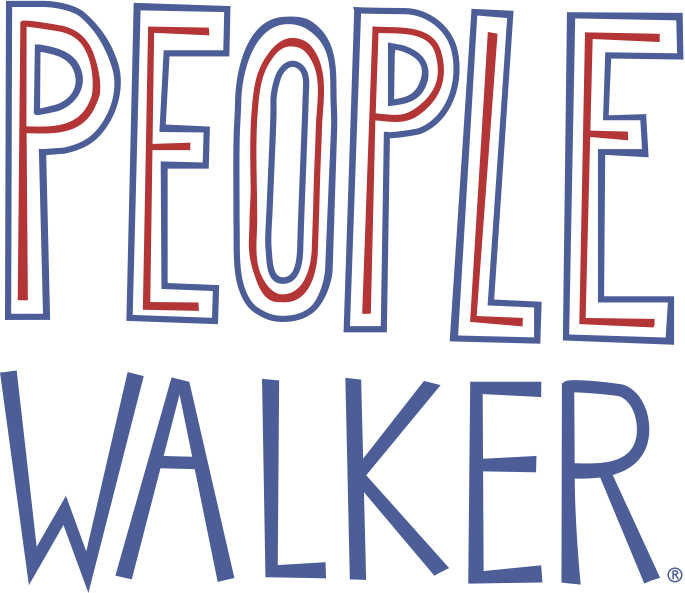 I make a point of taking my phone out and pressing “End Walk” in the People Walker app, so they know that they aren’t being charged and the walk is technically over. Then I say, “Awesome walk!” Sometimes I give the Client a high five, but only if I’m feeling it and I feel like they’re feeling it. When the Client looks over there, I quickly walk away in the opposite direction. It’s mysterious, funny, and leaves them wanting more. Besides the safety tips, these are all just suggestions, tips, and examples of how I walk. Choose your own path, and if there isn’t one, make it (in a metaphorical way). If a Client chooses to walk with you, they are choosing to walk with you, not anyone else. If you are mindful, genuine, kind, and open, you will leave every walk a better Walker and a better person. That’s progress, even if you walk in a circle.